The Kebbi State Task Force Committee on Health has decried the poor state of abattoirs in local government areas of the state. Most of the abattoirs and slaughter slabs are in dilapidated condition due to poor maintenance, thereby, making it practically impossible to sanitise meet products treated there. Chairman of the committee, Alhaji Bagudu Diggi was in Gwandu on Thursday where he expressed concern at the level of dilapidation of the facility there. He said local government councils must invest in modern abattoirs not only to generate money but also safeguard public health. ” The construction of modern abattoir would assist in sanitising meat being slaughtered and distributed in the state. 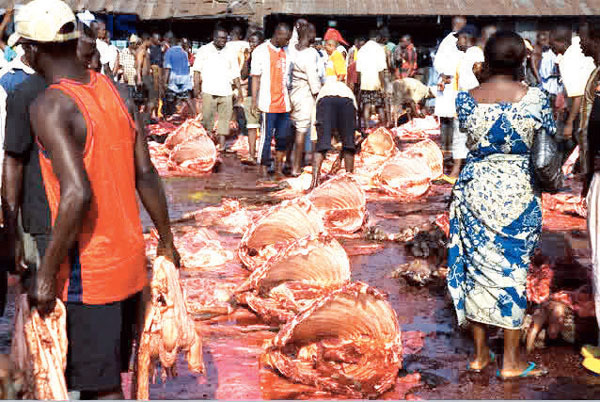 “The current condition of the abattoirs across 21 local governments in the state is terribly bad,” Diggi said.